The video was edited and shot by Nyte with Rose Hemlock Nyte, he comments that its impromptu nature was to capture the intimacy of the performance and “the love we both have for this beautiful song and our respect for the body of work Scott Weiland and Stone Temple Pilots have given us.” He further states, “It is not necessarily the best known STP track, but has been my favorite song of Scott’s since the moment I first heard it.” The original version of “Atlanta” was featured on Stone Temple Pilots’ № 4, released in 1999; MGT’s Gemini Nyte was released on February 23 via Cleopatra Records. 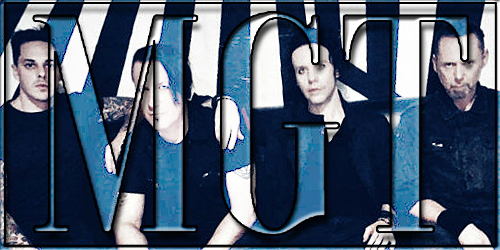 In addition, MGT will be performing a series of tour dates in the U.S., beginning tonight – March 15 – in Seattle, WA; a ful listing of the band’s tour dates can be found on the MGT website. The live band now features drummer Jared Shavelson (BoySetsFire) and bassist Rich Vernon (The Mission UK) joining Thwaite and Nyte.